Aba Fanuel eko balefewu gizem wede Stockholm, Sweden endehedu semtenal. 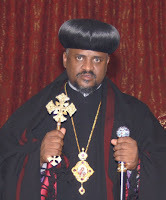 Balegn mereja meseret be Stockholm kalut 3 ye Ethiopia betekrstiyanat (1 be Kidus SYnodos, 1 "geleltegna", ena 1 Be wuchiwu "Synodos") yetignawum ga altayum. Beziyan gizem ye hagere sibketun Liqe Papas Abune Entonsin yasfekedu ayimeslegnim. Stockholm hedewu yet endarefu ena min siseru endekoyu metaweq alebet. Stockholm yemitnoru dejeselamawuyan kalachihu eski nigerun. Man yawukal beketayi liserut yasebutin. Egziabher Amlak Betekrstiyanin ke nufaqe hulu yitebikilin! Amen!!! I don't see what made some of above Anonymous persons unhappy. What's wrong to visit friends or take a vacation wherever the bishop wants. So far we didn't hear his reason why he want to come here. Let's have respect for all bishops not just only bishops close to us. This is radicals!!! Are you saying this guy cannot travel for his own personal or social business? Are you saying he needs to have a visa from one of his own friend jurisdiction? What is going on? Obviously, we all know he has responsible here in dc Michael too and it is header Micheal we need him. Leave him alone he had enough critics already. He just come to celebrate " the unfunctional"( GELETEGNA )church's unuall Hidar Michael..............an to collect a little some some.........? Guys if you want to judge bishops based on Fitiha Negest it will be very difficult. If you have read fitiha negest all in all, it prohibits bishops from many things which our fathers are not respecting it now. I think they are not using it for their personal service and life. So while all the fathers are not obeying the laws in it, it doesn't seem fair to judge this father based on the rules set in Fitiha negest. to (tewahedo) i truly get what u r sayin that everyone is overruling feteha negest but that doesn't mean just because many trespassed the law an ordained bishop can take that wrong path too. its unreasonable. each of them with a wrong deed will be questioned for what each do.yesemanewn enenageralen yayenewn enmesekralen lelaw degmo lela mestekakel selalebet yenager. እኔ እኮ ግርም የሚለኝ እቺ አሜሪካ የሚሏት የጉዶች መጠራቀሚያ ነች ማለት ነው? why DS memory is that short? or wants to fool us now and then?. Not only abba fanuel, but many bishops come and go to usa without refering to fitha negest. We are smart enough knowing the fact that same measure must apply for everybody, be it fanuel, abraham, gabriel, mathias. You talk fanuel has this and that. You have never told us what abraham, samuel or zeharias has. 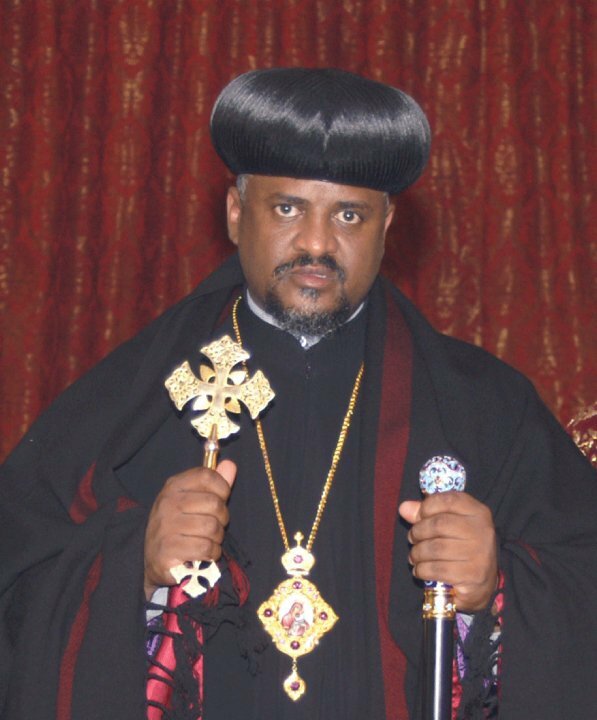 You keep telling us fanuel went to ethiopia and get bishophood. Is it not samuel who first went? Anonymous its amazing that you would quote from the feteha negest and yet as a christian you never check to look at what it is you are doing for the church before judging someone else on there deeds. You should check that one out in the bible its the book that we live by as orthodox people. Putting all the religious thing aside when i look at your comments and others opposing his going to D.C. without knowing the reason makes me suspect that you are jealous you can't making such trips and your way off venting is to find bad things about those that can make the trip. Mind you he is a spiritual leader what gives you the right to criticize him which works, or shall i say which works that people can vouch for makes you question his motives ?